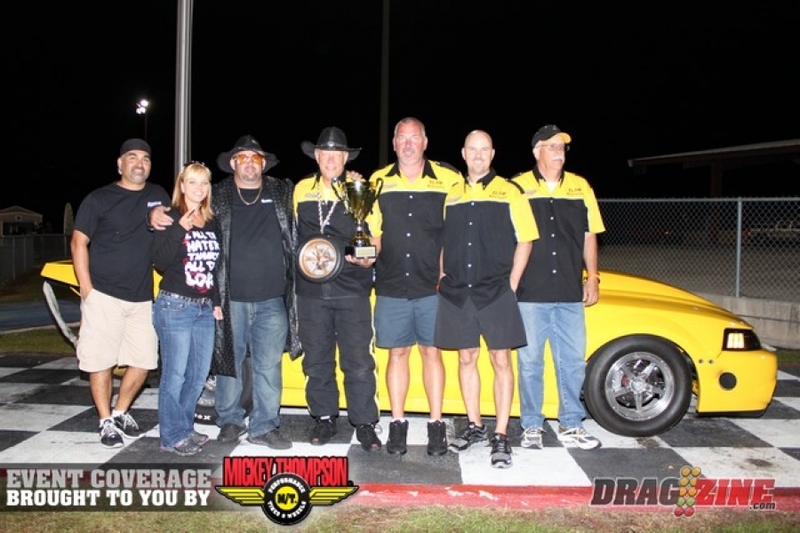 With a number one qualifying spot and a car that got faster every round, Terry Elam was unstoppable at the last ORTC race in Valdosta. With a final round record pass of 4.64 @ 161 against fellow Panhandle Performance team member Daniel Pharris, the Mark Biddle tuned, Mike Duffy chassis was deadly fast. Terry and the rest of the team worked hard to get where they are right now and they hope to use the momentum to carry them into a successful 2012. Big thanks to Gayle Elam and Bud Anderson for all their hard work this year.